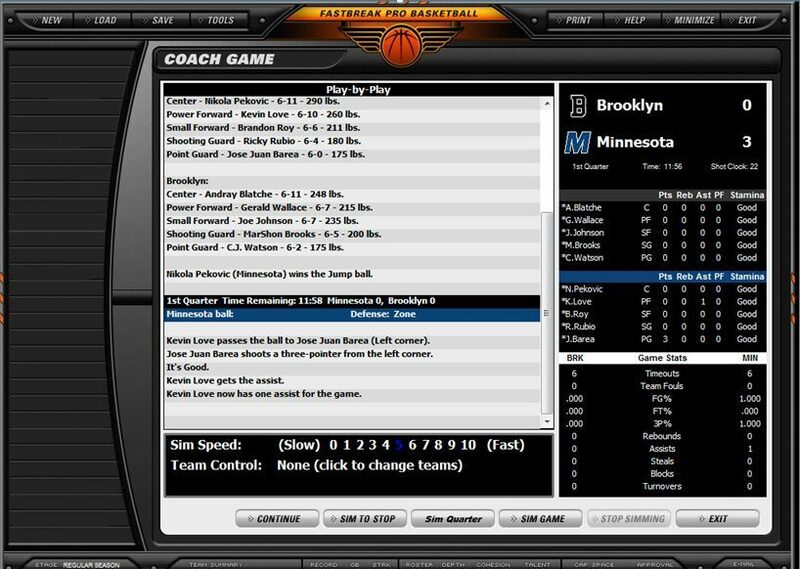 Fast Break Pro Basketball 3 brings you the option to simulate the past, present, and future of professional basketball. 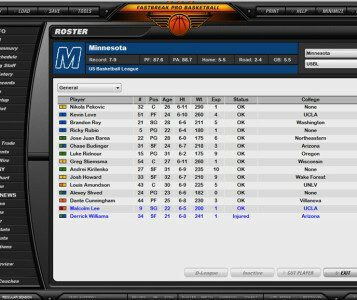 The new historical database includes past players starting with the 1946 season. 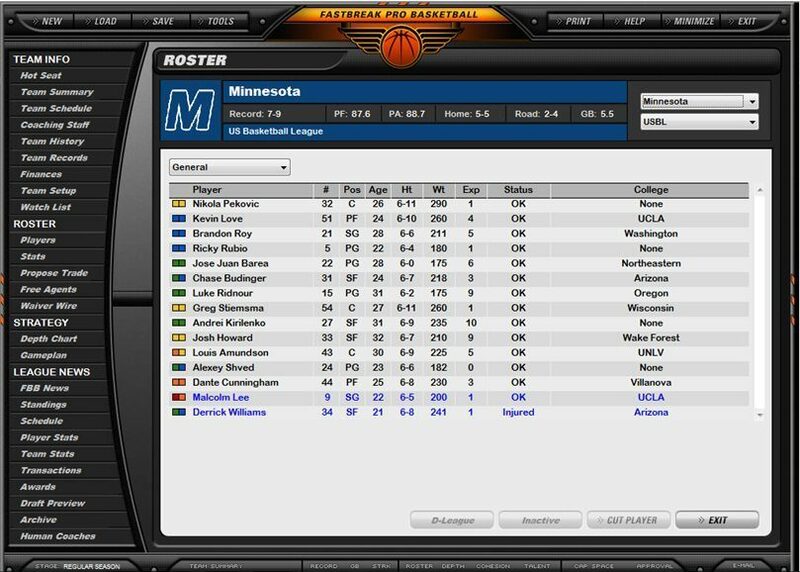 Draft classes can be fictional, historical, imported from Fast Break College Basketball or Fast Break College Basketball 2010, or imported from custom draft files. 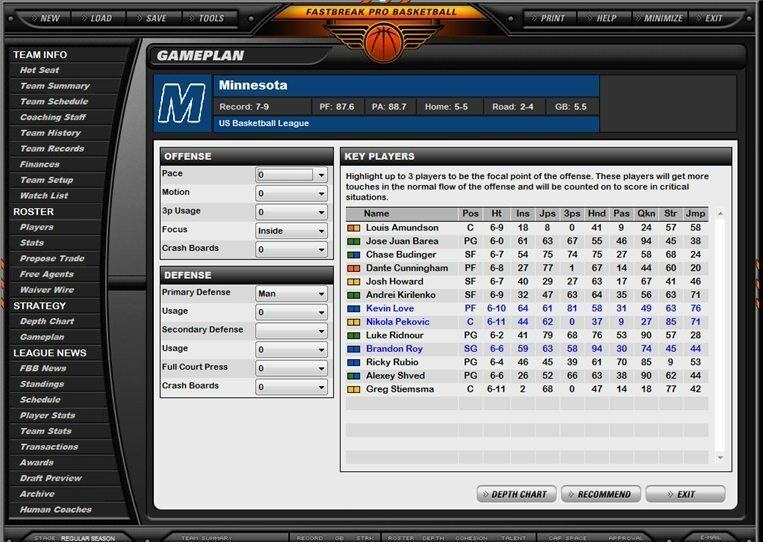 The game universe now has room for multiple active leagues at once. 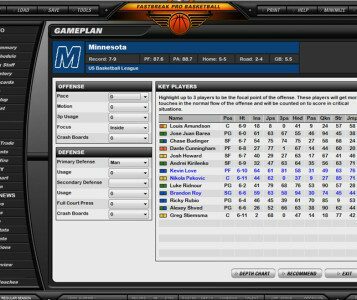 Advanced customization options allow for leagues with up to 40 teams as well as developmental leagues or tiered leagues with promotion between leagues. The simulation possibilities are endless.